I learned about using the storyboard technique to teach writing from Linda Rief. I tried this technique immediately upon returning from the conference and am always amazed how great it works. This technique is perfect for reluctant readers and/ or writers. The first time I used the storyboard I used the prompt Linda Rief shared in her session – What is the silliest thing you have done? During the reading of a story take the main events and draw a stick person drawing to capture the action. Use important vocabulary only. This technique is mostly about the drawing. I have modeled this for students with a read aloud several times. I have done the storyboard during the reading of the book and also after. When I taught third grade I was required to have my students use Star Reader tests. The books we did the storyboard with resulted in 100% of the students getting a 100% on the quiz. Anticipation is a real factor for the intensity of happiness we feel. This is why I have determined BOOK OF THE MONTH club is so exciting! You know that list of book is coming out the first of the month. Over the weekend I drove my daughter to Indianapolis for a gymnastics meet. I am always full of exciting anticipation to see her perform her routines. This meet she did extremely well! She placed 3rd or higher in all her events and all around! Proud mama moment! There is anticipation for the actual driving too. I always like to be early to anything no matter how early the appointment. There is always a sense of relief and happiness to get there safely. My relish moment I am sharing came from yesterday. There is power in professional conversation and fierce analyzing of actual events. People can talk a big talk but the proof is in the student evidence. I relish the fact I work with some amazing people who I can learn from and can talk me off the ledge. I am passionate about my job and teaching and children and sometimes get in my own way because of it. I need to remember sometimes to STAY IN MY LANE even though I have the skills to fix it. Part of my job is to teach others…not just take it over. I am still learning! The situation angered me at first but then I reflected that it is a learning experience for me as well and I need to be part of the solution to make it better. I will confess, I am disappointed that the level of professionalism from some people are not at the level I expected. C – CONTEMPLATE -What did learn and how can it affect my life moving forward? I’ve been working with several children in my office over the past week to build my relationship with them and to build their confidence for the standardized testing. I forgot what joy a piece of paper with adhesive on the back can cause. I had eighth graders so excited they were clapping and squealing. Gold rabbit stickers, scratch and sniff cherry, turtles and ladybug stickers were given. The elation they expressed on their face from this little sticker brought me happiness! What is your ARC today? I would tell you that 2018 has been busy! It feels like it is much later in the year. It is nice to have a lot of things going on. I would tell you that I love driving but it exhausts me. I like it mostly because I can listen to podcasts, learn, and think. I would tell you that I love all the connections I am making on Twitter. I am reading some great blogs, connecting with great authors and teachers! I would like to have some more IRL connections to writers. I am working on finding a group. I even would like to just get together with a small group and write together in the same room on our own projects. I would confess that I am evaluating my professional life and trying to figure out where I best fit. This seems an odd sentiment since I am in my 40’s. I would tell you I am enjoying my Ali Smith book and wish I had more time for reading. If we were having coffee…what would you tell me? Thanks to http://sarahjuneblog.com/2018/01/28/if-we-were-having-coffee-2/#comment-356 for her inspiration post! I have been reading more short stories as mentor/master texts and analyzing them. The Story Grid book and podcast has come onto my radar recently which is causing me to look at the construction of stories and novels and movies with a whole different lens. The furniture description is an endearing piece of the story. Laura has a respite from her life but then goes right back to it again. There are things and people that Laura does not think are ugly but then they get described as ugly by the boyfriend and therefore taints her view. Because she isn’t strong enough so allows his opinion to become her own. I hope to read some more from this author. 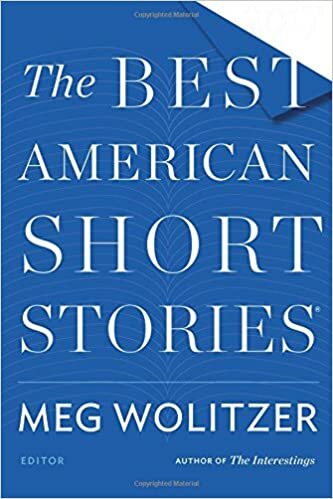 Have you read any great short stories lately? Labels can be a tricky endeavor. Bucket Lists, Life Lists, Things to do Before you Die list – they are all synonyms for the same type of list. I finally landed on the LIFE LIST label because it seemed the most positive especially when using the writing exercise with younger children. Where is a place you would like to travel? Who is someone you would like to meet? Famous or not? What is a job you would like to have? What type of family, if any, would you like to have? Once they make a list of things they would like to do, see, learn, and become then a favorite is chosen. I usually tell the students to put a star next to their favorite entry on the list. Now they have to write an activity or something they can do right now to get a little closer to their goal. What does that look like? We also had a conversation about him playing with different mediums to find out which one he really liked. He had a specific interest in drawing but after more conversation starting talking about chalk, charcoal, and paints. After this class time, he realized there were a lot of opportunities for him to work towards something he thought he had to wait to be an adult to accomplish. He realized he could have some impact on a really big life goal that he thought was much farther down the road. What would be on your life list? Please share in the comments! There is a magic to teaching. There is a magic to teaching writing. A couple years ago in my little apartment, I had a dream. An impactful dream that doesn’t leave me. I was giving a Ted talk which is one of my life dreams. I say dream because I have no goal and a process to get there. I prefer it as a dream currently. Goals need plans and lists and timelines. It probably will be a blog post (! ), an essay, then a book first. I had some moments of clarity when I woke up and made the notes on my phone but then in the way my life was going at the time I accidentally erased them when I reset my phone to factory settings. I have desperately been trying to recall the details and notes of this experience since then. I remember being on the stage and talking about M.A.G.I.C. EVERYONE has magic inside of them.I have magic with students and you probably do too if you are an educator. If you are a writer, you have magic with your readers. People are drawn to the light inside of you. It can be annoying at times when people are drawn to you and you are an introvert but it is a GIFT. Fellow teachers have expressed to me on multiple occasions and school corporations that I can get writing and learning from children that no one seems to be able to. It isn’t a magic spell but there is an enchantment. How do I do it? I don’t wave a wand (although I have my Harry Potter wand!) I am authentic. I see my students. I listen to them. I see them as the little people they are with their own ideas – even a kindergartener. I am a reader and a writer and I exemplify these behaviors and students can see it. I do not ask them to do anything that I have not done myself already, or am willing to do. This is a mantra I use with adults and children. I do not believe in busy work. I believe in being transparent with students and it makes me happy. They know me, I know them. I listen to what they say and respond accordingly. I am not afraid to ask a question and not know the answer that will come from the students. I want to show students to struggle with new learning. I will not ask you to do anything that I am not willing to do myself, or haven’t already done. To get to this magic you have to have MENTOR texts – texts to show the writing that you want your students to create. No adult writes a resume without Googling samples of resumes beforehand. You don’t write anything without immersing yourself in that genre. We shouldn’t expect any less from children. You need to be a writer to teach writing. You don’t have to be published but you have to go through the process or as an educator you cannot help a young writer if they get stuck. You have to know what it feels like. I worked with a teacher that told me she started to write using her own writing prompts that she was assigning to her students. There were some that were not crafted as well as they could be and were hard for her – with 40 years of life experience to draw from. She decided through that experience she needed to modify if she had trouble with the assignment prompt. Then she told the students what she had done and why. It made a huge difference. You have to be excited about writing. There must be respect and a level of seriousness to the process. When I teach writing I use writing materials from respected writing teachers in the literary world – not the teaching world. I quoted Natalie Goldberg, Anne Lamott, Julia Cameron, etc. I did use a lot of Nancy Atwell too. I told the students my rationale. The students saw my writers notebook. They saw when I was excited about a piece of writing I was crafting with them. In the middle of the process, if the kids made a chart or wrote the group story and it wasn’t exciting then we talked about what we could do to make it exciting for our reader. We read everything like writers. My students knew the goal was for them to be real authentic readers and writers. Writing lessons like any other need to be planned purposefully. The mentor text to read needs to be right for the writing craft lesson. The prompt needs to align with the book and the mastery objective you want the students to glean from the lesson. There needs to be intention in the routines for your writers to establish and how their words are shared. Intention needs to be there for conferencing. Teacher and student conferencing and peer conferencing. I wanted my students to write even when they didn’t have to so I set up centers in my classroom for exploration. Books were placed in the classroom based on interest and choice. Writing and book making materials were everywhere. Relationships and a trusting culture is essential for students to write. Writing is hard. You know this to be truth whether you write or you resist writing with your students. Sharing your own writing can go a long way. Writing with kids is a great culture builder. No matter the level I use the gradual release model. I make sure with my middle school students to always model the I DO portion, especially with writing. Then there is a small section of WE DO so students are able to show me they understand the task. Then it is off for the YOU DO. I carry a black notebook with me almost everywhere. When I hear a student say something or I read over their shoulder I often will say that is amazing! I am going to write that in my notebook. Or I say, “I wish I would have written that sentence.” It is the same language I use when we are reading and I want to record something in the writer’s notebook. Use your M.A.G.I.C. this week to teach! The results will be fabulous! When I do writing retreats, another writing exercise I deploy is an activity called INK BLOTS. I print off color ink blot images from Google (check the copyrights) and laminate. Number each of the cards with its own number. Students sit in a formation that allows them to pass the laminated cards and write comfortably. Start with students holding one card. Students write the number of the inkblot they are holding and then write a sentence or two description of what they see. This activity is done silently. You do not want to tarnish or influence someone else’s interpretation. At the end of the rotation, you can show a couple of the ink blots and have students share with partners or small groups their interpretation. After sharing, students take one of their descriptions and write with those sentences as a beginning and then formulate a story. This is an opportunity for the leader or teacher to write with the students. They are always interested in what your interpretations are as well!